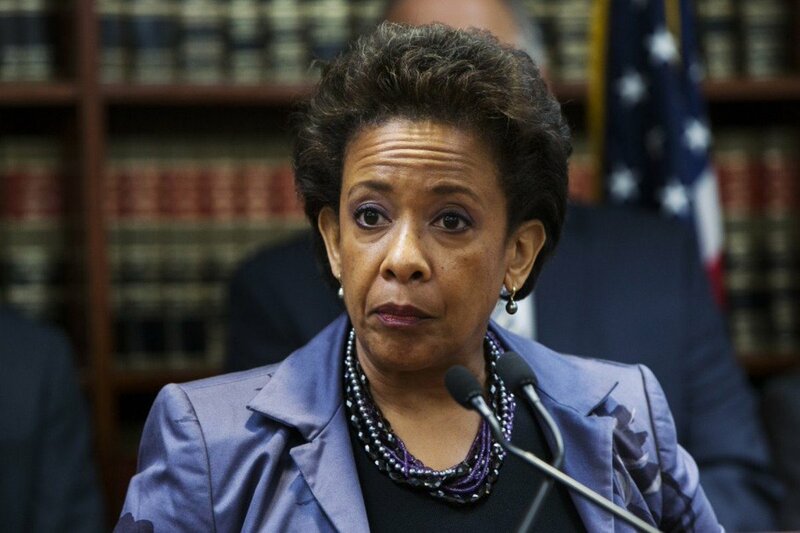 Things keep getting worse for Loretta Lynch. Former FBI Director James Comey dropped a bombshell that she interfered in the FBI investigation into Hillary Clinton’s email server. Now news is breaking that could land her in serious trouble. After Comey’s testimony that Lynch had ordered him to refer to the Clinton investigation as a “matter” – so the FBI’s public statements would line up with the Clinton campaign’s talking points and downplay the seriousness of the investigation – calls heated up for a special prosecutor. This came on the heels of reports that FBI Director Comey had gone public with his findings on the Clinton investigation because they were in possession of an email obtained by Russian hackers where one Democrat National Committee staffer claimed Lynch would take care of the investigation. Senate Republicans immediately called for her to testify. “Members of the Senate Judiciary Committee are pressuring Chairman Chuck Grassley to ask former Attorney General Loretta Lynch to testify before the panel on whether she interfered with the Justice Department’s investigation of Hillary Clinton’s email server. An aide to Sen. Ted Cruz (R-Texas) told The Post on Monday that the Texas Republican wants Lynch to respond under oath to bipartisan concerns that she attempted to influence the Clinton probe – an explosive claim made by ousted FBI Director James Comey during his testimony last week. Comey told senators that Lynch directed him to call the email probe a “matter” instead of an investigation, a move he said “confused and concerned” him. But in even more troubling developments, Lynch’s conduct could become fodder for an obstruction of justice investigation for a special counsel. “The findings of the powerful panel, which has oversight of the Justice Department and FBI, could lead to a separate criminal investigation and the naming of another special counsel — exactly what Trump needs to distract attention from his growing legal woes. It’s clear from all the available evidence and testimony that the real crimes – obstruction of justice, illegal surveillance, leaking of classified information – were committed by Obama administration officials. Yet the special counsel is directing a witch hunt into Trump based on fake news stories spread by the so-called “mainstream” media. The revelation of Lynch’s misconduct during the Clinton investigation could lead Trump to either appoint a special counsel to probe these allegations or have special counsel Mueller take up the inquiry.